Cabins require a 2 night minimum stay. All sites require a 3 night minimum stay on major holidays. All reservations require a 1 night deposit and a major credit card on file. Specific sites may be requested but there are no site guarantees. Rates are subject to change if there is no deposit. No refunds after check-in, park credit only. Regular reservations cancelled within 48 hours of check in date result in a loss of 1 night’s deposit. Holiday reservations cancelled within 1 week of check in date result in a loss of 1 night’s deposit. All other reservation cancelations result in a $10 fee. There is no fee to move a reservation, or partial reservation to a different date if it is prior to 48 hours to check in. Reservations moved within 48 hours will be charged a $5 fee. Please refer to our Groups & Events brochure for group cancelation fees and specifics. Tent campers can stay a maximum of 7 consecutive nights with a 21 day wait before they may stay again. RV’s can stay for a maximum of 21 consecutive days with a 7 day wait before they may stay again. Please bring valid ID for check-in. RV’s in fair to good condition only. RV’s that do not meet our standards will be asked to not return again. No more than 4 people per tent site. 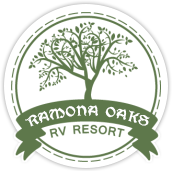 No more than 6 people per RV site or cabin. Guests of campers must register with the office before going into the park. Any guests numbering greater than the number allowable per site must pay a $5 day fee and must leave the park by 10:00pm. 1 vehicle per site unless otherwise approved. $10 fee for additional vehicle parking. Pets are welcome (some dog restrictions apply). Dogs must be leashed AT ALL TIMES unless in the dog run. Cats should remain indoors unless leashed or created. NO pets allowed in buildings, cabins, pavilion tents, pool or playground. Please let us know if you will be bringing a service animal so we may note this on your reservation. NO smoking allowed in buildings, cabins, pavilion tents, pool or playground. NO tarps allowed & NO sleeping in your vehicle allowed. NO vehicle washing or repairs. NO RV washing or repairs unless approved by management. NO hunting or use of recreational firearms allowed in the park. NO WOOD FIRES allowed in our park, propane and charcoal only!